Dieting and dining don’t usually mix too well because let’s face it, restaurant food is fattening and high in calories. Chinese food is especially bad because of all the salt that goes into the sauces they pour over the food. Last night my partner decided that he wanted to go to Rice Bowl because he was hungry for some Chinese food. It caught me off guard because I was just about to put a Weight Watchers Smart Ones meal in the microwave. He isn’t really trying as hard as I am to lose weight, so to him going out to eat isn’t that big of a deal, but I’m really focused on it and don’t want to do anything to sabotage myself. I did agree and we went. I looked through their huge menu for something that I thought might be low cal and practically everything they had was bad for you. I usually always get something with chicken, but even their chicken is high in calories because of the sauce and because of how it was cooked, so no matter what I got, it was going to be bad. I did get steamed rice and Beef Broccoli. I had my phone with me with the Noom app loaded so that I would be able to find out how many calories everything had and to see whether it was red or yellow (let’s face it, nothing is going to be green lol). 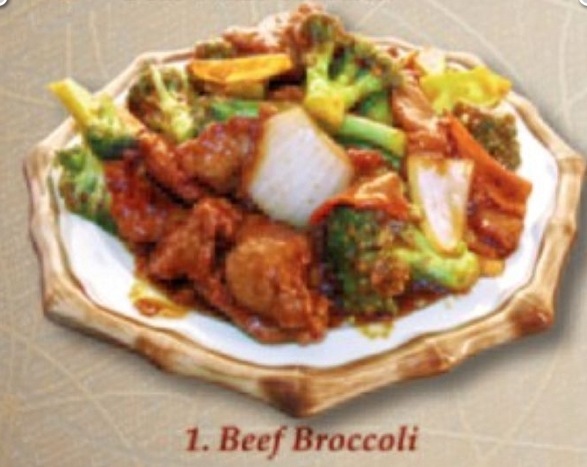 I did find that the steamed rice and the beef broccoli were both yellow so I knew they were okay. As we were waiting for our food, I saw a waiter bring another table their food. My jaw was nearly on the floor because of how high the food was piled on each plate. I was thinking that it’s no wonder people are so fat. I mean, you don’t need that much food. Your stomach is the size (or should be) of your fist, so you really shouldn’t need any more than that. Peoples stomachs are maybe 4 times the size of their fist from being stretched over time, so they can consume that much food and probably still be hungry. I was happy that my plate wasn’t as high. I probably only ate a quarter of my food before I started to feel full, and that is how it should be. Thanks to eating smaller portions, my stomach has shrunk so it is indeed now the size of my fist so I can be satisfied with a normal amount of food. I felt uncomfortable just sitting there watching my partner eating, so I nibbled on more of my food just so it didn’t look like I was rushing him. We took the leftovers home and I had half of what was in the box for lunch and I will eat the rest for dinner tonight. It’s nice to be able to go out once in awhile, but my goodness, that’s a lot of food. I wish they had a diet menu for people who are trying to watch their calories and portions. Not everyone wants to eat 4 times of what they should be eating. When I was a kid, my mother would guilt me into eating everything that was on my plate, that’s not a good thing to do in this day and age when everyone is so heavy. People need to be responsible for their own health and limit their portions to what their stomach should be able to handle and take the rest home instead of cleaning their plate. You can’t just blame people for being so heavy when the restaurants are serving such big portions. People are responsible for their own actions, but restaurants have to take on some of that responsibility as well. People are so focused on blaming McDonald’s for obesity when they are forgetting that fast food is just a tiny part of the problem, they should also be focusing on casual dining restaurants as well. A Big Mac and Large Fries are tiny compared to the amount of food that was being consumed in that restaurant last night by each person. I am just happy to know that I have the sense enough to know my limit now and am taking responsibility for my body instead of doing what other people expect me to do.